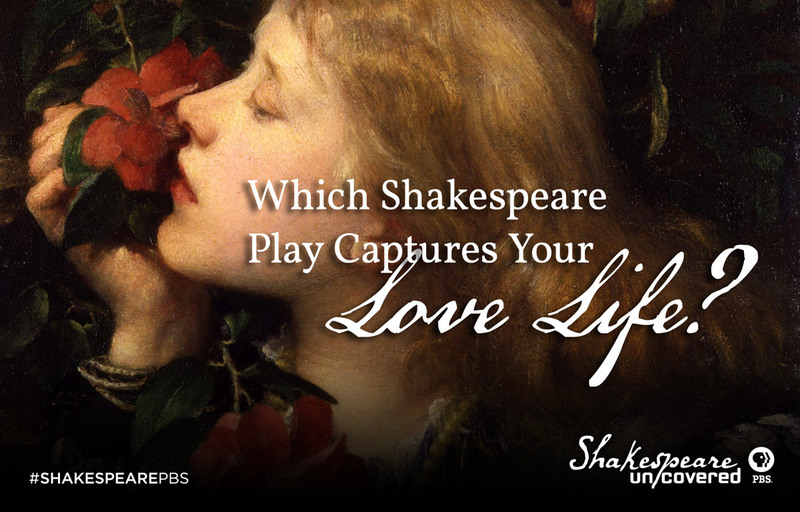 Whether romance, comedy or tragedy, the works of Shakespeare are timeless when it comes to human relationships. Many stories of love unrequited, love postponed and even love lost still resonate. Which play hits the nail on the head for your romantic life? Take our quiz! 1. Your friend wants to set you up on a blind date - how do you respond? I would not be thrilled. I don't believe romance can be influenced. I would be receptive to the notion, but would require a full debrief ahead of time. Completely opposed to it. I actually bristle at the idea of needing help in this area. I would do it, but would make no promises. I have to follow my heart. 2. You begin to sense simmering attraction with an unavailable person - what do you do? This isn't a good situation, but the heart wants what it wants: I would pour my heart out to them. I would walk away immediately. That sounds like a huge waste of time. I certainly would not chase them - but would expect they would find me irresistible. I don't give up! Love doesn't follow any rules. 3. You have just been through a breakup - what's next for you? I can be a hothead so I would be upset for a while, but my career comes first. A definite period of mourning: a lover being removed from my life would be extremely painful. I might cause some mischief to get back at them. A sigh of relief! If we broke up, it was for a reason. 4. You suspect your significant other is unfaithful - what action do you take? They would get kicked to the curb ASAP. I would enlist a friend to follow them. We might be open about such things; romantic relationships come in many forms. I would ask if what I suspected was true and would be honest about how hurt I would be. 5. Which quality in a potential romantic partner would be a deal-breaker for you? 6. Your family does not approve of your lover - what do you do? In a way, that would make my lover more attractive to me. I might trust a lover more than my own family, so that's not a concern. I would run away with my lover to somewhere we could be free. I might continue to see them, but in secret; it would be hard to break away from my family.